The paper comes down at Marination Station on Capitol Hill. Bastille Cafe and Bar brings back seasonal farmers market dinners. Starting May 9 and every second Monday of the month through October, the restaurant serves three-course dinners featuring bounty from the neighborhood’s produce purveyors and the Bastille rooftop garden. Dinners start at 6pm and cost $39/person. Call for reservations. The Nordic Heritage Museum hosts a Swedish Pancake Jazz Brunch on Saturday, April 23 at 10:30 and noon. Tickets include all-you-can-eat Swedish pancakes and live music from Gail Pettis. Click here to purchase tickets to Swedish Pancake Jazz Brunch. Amy Treadwell, food and wine editor for Chronicle Books, offers tips for putting together a book proposal during the Foodportunity workshop From Pitch to Publish workshop on April 25 from 6:30 to 8:30pm at the Bellevue Hyatt Regency Hotel. Tickets are $25. Click here to purchase tickets to Foodportunity’s From Pitch to Publish. Chef John Roberts at Edgewater Hotel’s Six Seven restaurant has debuted a new menu filled with seasonal produce and seafood. On April 22 High 5 Pie unveils a new line of pastries, a collaboration with Volunteer Park Café’s Heather Earnhardt. Try them half-price during happy hour from 3 to 5pm Monday through Thursday, and catch High 5 on the Cooking Channel show “Unique Sweets” on Sunday, April 24 at 7pm. Richard Hugo House hosts 4 Courses on April 27 at 6:30pm, with food writers Langdon Cook, Kate Lebo, Martha Silano, and Kevin Craft. They’ll read poems and selections about food while guests feast on a four-course meal from Tom Douglas Restaurants and High 5 Pies. Tickets are $10-$15. Call 206-322-7030 or stop by Hugo House to reserve a spot. 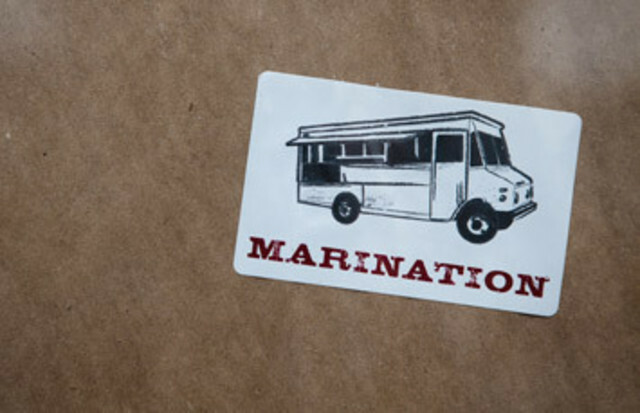 Marination Station opens its doors on Friday, April 22. Stop in between 11 and 8 for a chance to win free tacos. Eater reports Larkin Young, late of Tilth, will serve as sous chef at the forthcoming downtown restaurant RN74. Serafina and sister restaurant Cicchetti will throw an outdoor party on Sunday, May 29 from 1-10pm to celebrate Serafina’s twentieth anniversary. Expect outdoor grilling, drinks, and live entertainment. Brave Horse Tavern rolls out brunch service this weekend at 10am, says the restaurant’s Facebook page.